The ichnovirus TrIV, transmitted by the endoparasitic wasp Tranosema rostrale to its lepidopteran host during oviposition, replicates asymptomatically in wasp ovaries and causes physiological dysfunctions in parasitized caterpillars. The need to identify ichnoviral genes responsible for disturbances induced in lepidopteran hosts has provided the impetus for the sequencing and annotation of ichnovirus genomes, including that of TrIV. In the latter, 86 putative genes were identified, including 35 that could be assigned to recognized ichnoviral gene families. With the aim of assessing the relative importance of each TrIV gene, as inferred from its level of expression, and evaluating the accuracy of the gene predictions made during genome annotation, the present study builds on an earlier qPCR quantification of transcript abundance of TrIV rep ORFs, in both lepidopteran and wasp hosts, extending it to other gene families as well as to a sample of unassigned ORFs. We show that the majority (91%) of putative ORFs assigned to known gene families are expressed in infected larvae, while this proportion is lower (67%) for a sample taken among the remaining ORFs. Selected members of the TrV and rep gene families are shown to be transcribed in infected larvae at much higher levels than genes from any other TrIV gene family, pointing to their likely involvement in host subjugation. In wasp ovaries, the transcriptional profile is dominated by a rep gene and a member of a newly described gene family encoding secreted proteins displaying a novel cysteine motif, which we identified among previously unassigned ORFs. 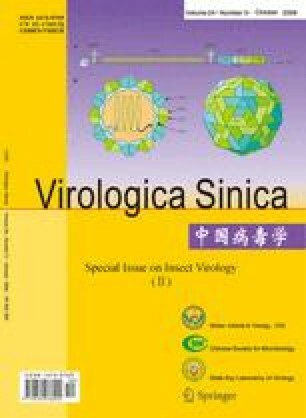 Her majesty the Queen in right of Canada, represented by the Minister of Natural Resources Exclusive worldwide publication rights in the article have been transferred to Wuhan Institute of Virology, CAS and Springer. Foundation items: Grants from the Canadian Forest Service (CFS) and a Discovery grant from the Natural Sciences and Engineering Research Council of Canada to MC.